This is a one column row with an extended area for text or images. You can click anywhere within this section to change it. This template is mobile friendly. Click here to add more content in this area. This template is mobile friendly. You can add more content in this area. This template is mobile friendly. This is a one column row with an extended area for text or images. You can click anywhere within this section to change its content. This template is mobile friendly. You can add more content in this area. 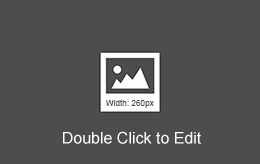 The width of the above image is 160px. This template is mobile friendly.